Which events does Maremma Tuscany offer you in May 2018? From sports to culture, from food to music, here are some of the main May events that you cannot miss if you are visiting the Silver Coast (Argentario) and inland Maremma. 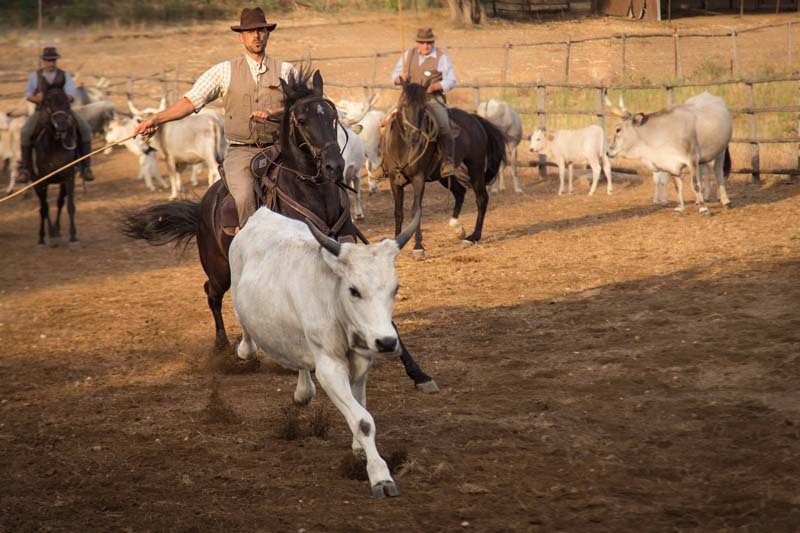 1 May – Roselle (Grosseto): Butteri Show – the cowboys from Maremma perform at 11am at Bioagriturismo Corte degli Ulivi. 1 May – Sorano: MaremmArtExpò – Event dedicated to international figurative art. Music, conferences and exhibition of artworks. It takes place in the “Il Cortilone” building in the historic center. 1–25 May – Porto Ercole: Happy Mother’s Day – Argentario Golf Resort & Spa proposes a special package for all mothers. 2 May – Capalbio: PhC Festival della Fotografia – The last day of the international photography festival held at Galleria Il Frantoio. 4–5–6 May – Porto Ercole: La Notte dei Pirati – Porto Ercole becomes a pirate cove! Locals dress up as pirates and participate in a thrilling treasure hunt. 5–6 May – Orbetello: Orbetello Antiquaria – antiques market in the city center. 5–6 May – Castiglione della Pescaia: Raduno Vespa Club – National gathering of the Vespa Club under the theme “landscapes and flavors”. 11 May – Grosseto: Festival del Maggio Musicale Fiorentino – The Orchestra del Maggio Musicale Fiorentino performs in the Teatro Moderno. 11–12–13 May – Castiglione della Pescaia: Raduno bici d’epoca – a gathering of vintage bicycles. 12–13 May – Porto Ercole: Tuscany Ladies’ Challenge – a thrilling international competition between the ladies of Gleneagles, Wentworth and Argentario golf clubs. 13 May – Grosseto: Festival Musicale Internazionale Recondite Armonie – At 18:00, the Salisburg’s Mozaretum quartet performs in the Chiesa della Misericordia. 19–20 May – Porto Ercole: Argentario Golf Pro Am – prestigious competition on 19 and 20 May 2018, with a professional prize fund of 10.000 Euro. 19–20 May – Cinigiano: Amiata Piano Festival – On 19 and 20 May, open–air festival at Forum Bertarelli in Poggi del Sasso. More information on www.amiatapianofestival.com. 24–25–26–27 May – Marsiliana (Manciano): Strawberry Festival – Food stands and music. 25–26–27 May – Grosseto: Street Food & Crafts Festival – Stands on the ancient city walls, Bastione Mulino a Vento and Bastione Garibaldi. 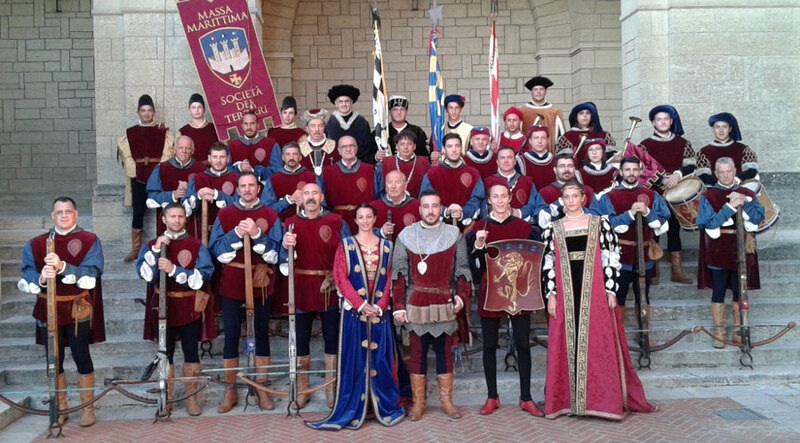 27 May – Massa Marittima: Balestro del Girifalco – From 5pm: spectacular parade of medieval costumes followed by a flat–throwing show and a crossbow competition. The dates and times of the events are subject to change. This entry was posted in events and tagged activities, argentario, events, maremma . Bookmark the permalink.